LaBoracay, the biggest and grandest summer event in Boracay is almost here! Endless parties, tons of water activities, bikini bodies, and that’s not even half of it! The only question now is, have you found a place to stay yet? Well, your chances of getting a good spot are becoming slimmer every second. Lucky you, I’ve already come up with a list of hotels and resorts to stay at during this sizzling hot Labour Day weekend. YOU. ARE. WELCOME. 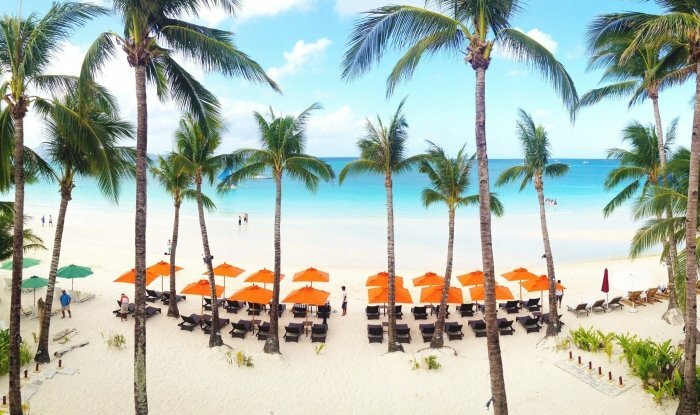 Not only is the beach right at the resort’s doorstep, The District Boracay is also conveniently located in Station 2 of White Beach, the heart of the party scene. And for those who are nursing a hangover after partying all night, you’re in luck because they offer a brunch buffet until 1pm! Trust us when we say that we had an amazing experience in this resort. Read our full review of The District Boracay . 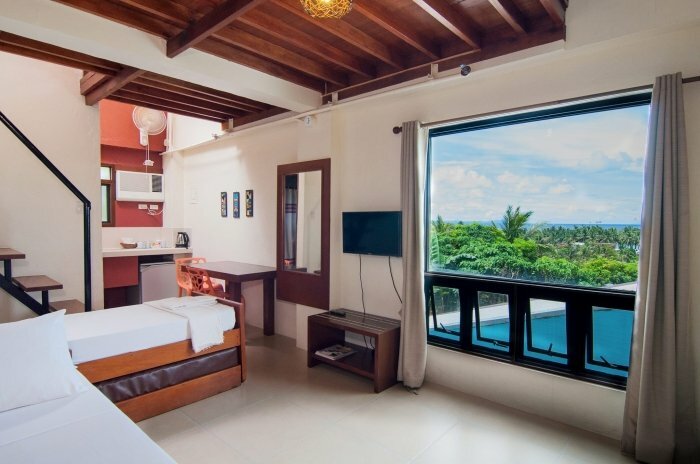 If you want the best of both worlds, slumber uninterrupted in a quiet guesthouse but still be at the centre of all the partying, then three-time TripAdvisor Travelers' Choice Winner Agos Boracay Rooms + Beds is your best bet. The great thing about it is that it is just along the Main Road so it's easy to get a trike to anywhere in Boracay. Plus, you are just five-minute walk away from the clubbing scene and White Beach! And because it is located in Station 2, you are practically at the heart of the island. 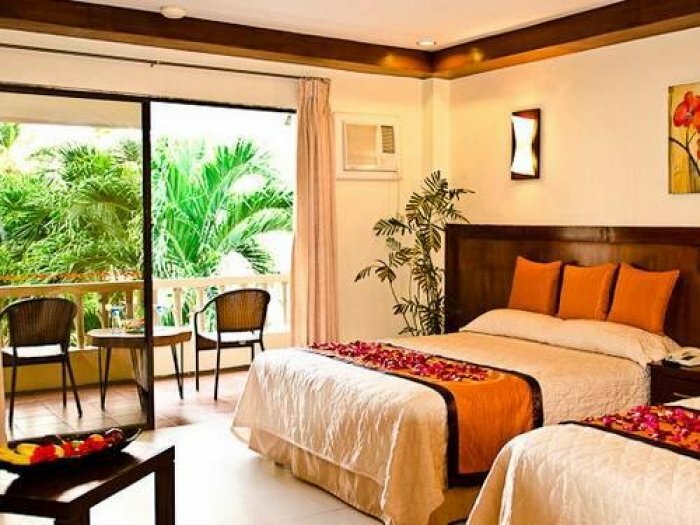 Read our full review of Agos Boracay Rooms + Beds. Just a few minutes’ walk from White Beach is Nirvana Beach Resort. Their spaces are great for bigger groups or families. What makes Nirvana worth the stay is its apartment-style accommodations. Most of their rooms come with a kitchen, making it perfect for overstayers or those who want to save a little on food. Want a one-of-a-kind ultra-luxurious accommodation in a not-so-busy area along White Beach? You’re in for a treat at Ambassador in Paradise . This award winning luxury resort gives you a breathtaking view of the ocean coupled with impeccable personalised service. You will definitely get the VIP treatment even before you arrive. The best part is that after you’ve partied hard, you get to relax and feel like you’re at home in a peaceful abode. Not convinced? Read our full review of Ambassador in Paradise . One word — tropics. You’ll see coconut trees, inviting beach loungers and a beautiful view of the quiet Boracay shore. Fridays Boracay is truly an expert at quality service because it’s been around since 1982! Rest assured that after partying all night, you will be well-taken cared of. Their rooms are very classic and cosy. Fridays Boracay has a 120-seat capacity restaurant, a beachfront bar, spa, games area, and even a freshwater swimming pool! It’s truly an all-in-one destination in itself. 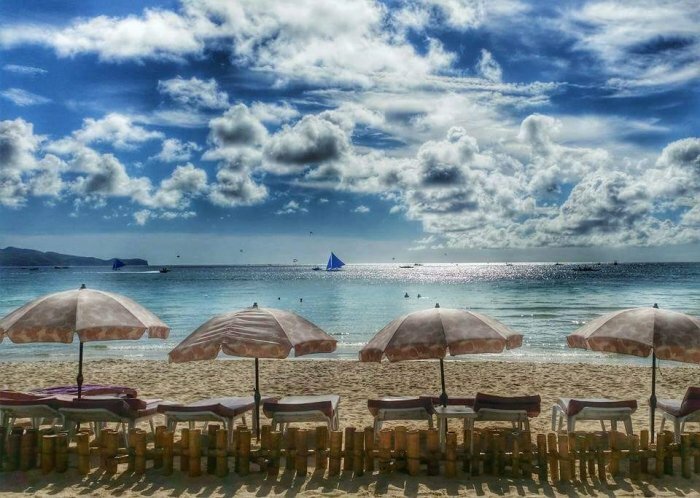 Read our full review of Fridays Boracay. 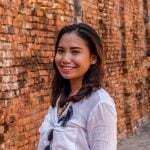 Good news to all TripZilla subscribers! Get an Exclusive Offer from Fridays Boracay using the Promo Code "TRIPZILLA" to enjoy 55% discount on published room rates. Promo extended until 19 Dec 2017! 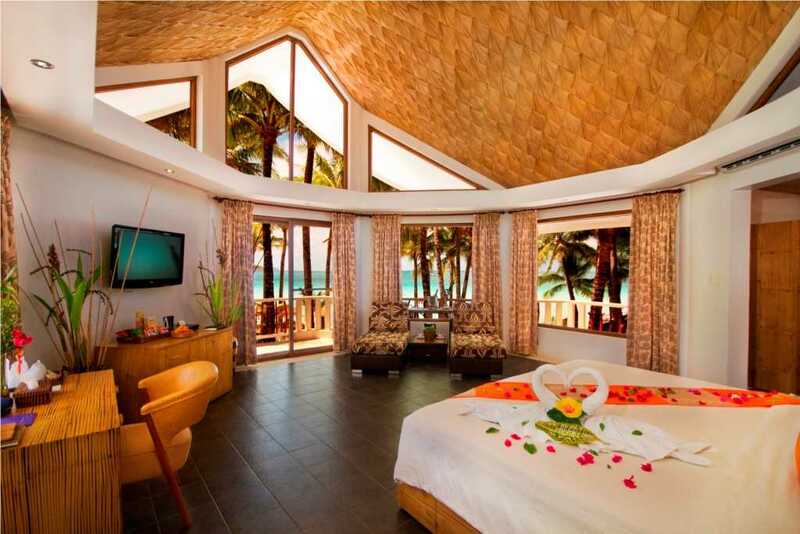 Jony’s Beach Resort is a home-grown family-founded resort in Boracay. It is only a few metres away from the White Beach in Station 1. Tourists flock to Jony’s to eat at Maya’s, their own restaurant that serves Filipino-Mexican food. I especially love how its rooms are modernly decorated but they still retained the homey feel of this 1985 resort. With the ocean just literally steps away from the doorstep, Nigi Nigi Too is perfect for your weekend hiatus. 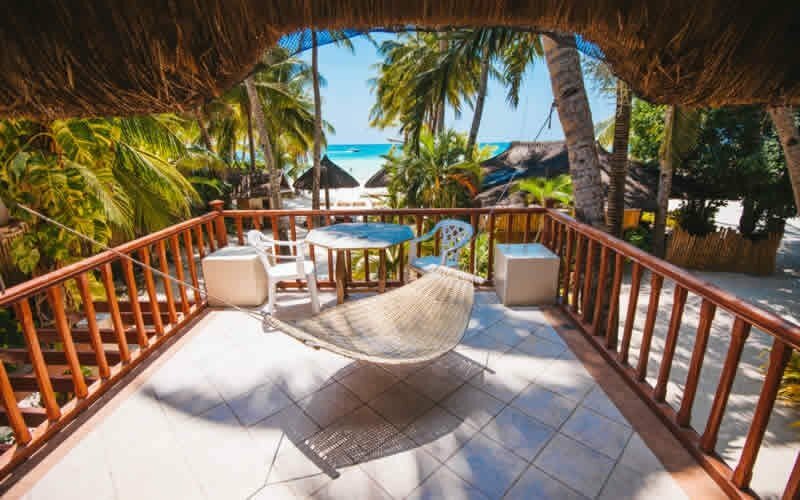 All their rooms have private verandahs with a stunning panoramic view of the ocean. What we like about Nigi Nigi Too is its beachfront massage services. Now that’s what you call therapy! Looking for a cheaper alternative for your LaBoracay escapade? Try B Pod . It’s a hip and cool place for backpackers and solo travellers as they have bunk beds available. The good thing about this underrated place is its location. It is right along White Beach so you still get to wake up to the sound of the ocean waves. Choose Station 3 if you want peace and quiet without breaking the bank. 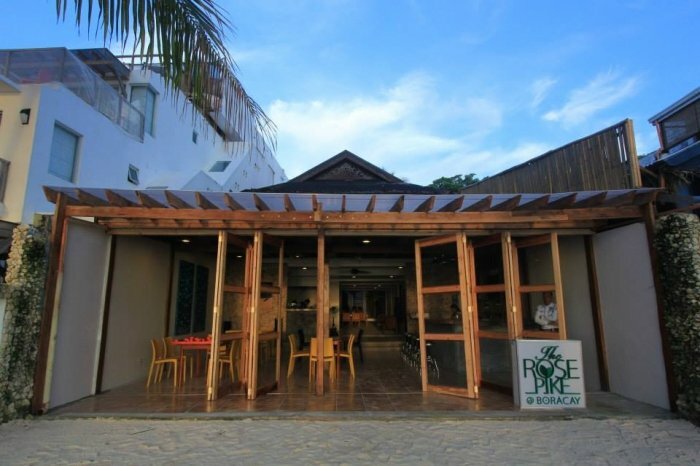 The Rose Pike is yet another affordable option for the thrifty and it is in a beachfront location. The rooms are surprisingly spacious and comfortable for the price! And while you’re there, you have to try their fruity pancakes! Yum! Orchids is a hole-in-the-wall backpacker haven. The main road is easily accessible and White Beach is just two minutes away. 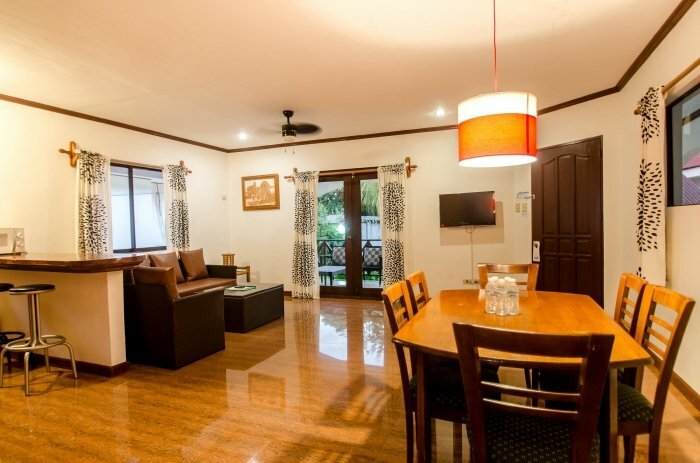 And while it is a very affordable alternative for the thrifty, they also have a Private Villa that has its own kitchen and dining area. Each of these hotels and resorts will give you a different LaBoracay experience and I hope you can find the one that best suits your needs, whether you prefer a location right by the quiet beach, a tranquil abode far from the crowd or at the heart of the party. For those of you who are planning to celebrate the Labour Day weekend elsewhere in the Philippines, do check out TripZilla STAYS for our top hotel picks in the country.